If you have tickets to the Rio Olympic Games 2016 in just over a fortnight, you're probably thinking about what to pack for your trip. In addition to sunscreen and swimsuits, you're likely eager to know if there is a dress code for attending the olympics. You'll surely be eager to find out if there's anything you shouldn't wear to the 2016 summer Olympics. After all, a bit of a stir was caused over Olympics attendees' attire at the London 2012 Games. 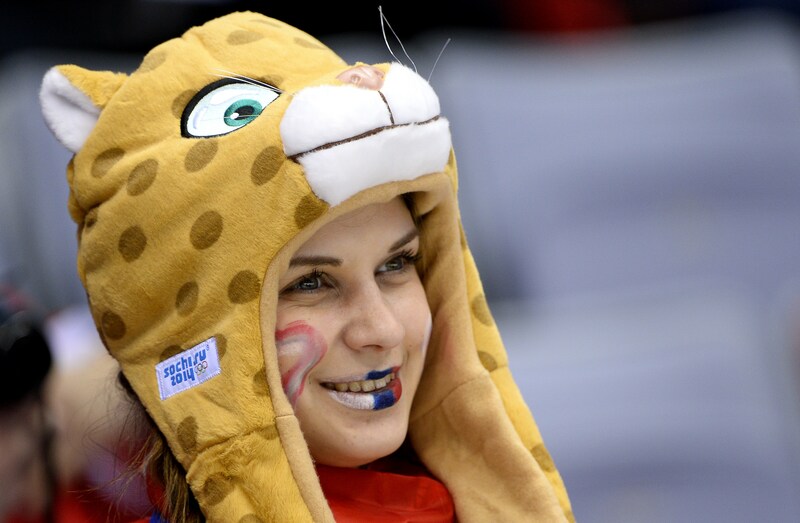 According to The Mirror, Olympics fans were warned they could be turned away if wearing brands rivalling sponsors, "Olympic fans have been warned they could be turned away from the Games if they arrive wearing the wrong brand of clothing. Organiser Lord Coe said draconian rules are in place to protect corporate sponsors who have paid a fortune to be associated with the spectacle." Brands mentioned in the article were Pepsi rivaling sponsor Coca Cola and Nike who rivaled sponsor Adidas. Perez Hilton reported along similar lines, but added that clothing items reading "Obama" apparently, "...could get you turned away from the Olympic games." Although this may seem a little OTT to some, whatever your opinion, if you're attending the Rio Olympic Games, you'll need to know if there's a dress code or not. After all, there's no way you'd want to fly halfway around the world to be turned away because you're not wearing the right shirt. So it's worth mentioning that Brazil's temperature is very different to say, London's, so common sense would dictate that perhaps there will be a freer dress code (if any) at Rio, than Games held in colder climates. So after some digging, I unearthed some information. Although there is seemingly nothing circulating in the news at the moment regarding the 2016 Rio Olympics dress code, there is some advice on the Games' official website. It turns out that each event has a Spectator Guide, that contains vital information about what spectators need to know when observing. However, it seems that the Golden Tips for each event are similar across the board. IMO, one of the most useful sartorial tips that kept cropping up in multiple events' Spectator Guides was, "Avoid carrying bags to speed up your entrance. If necessary, choose the smaller ones that you can put on your lap or under the seat." So don't bring a large handbag or worse, a piece of luggage, because chances are, they won't be allowed in. All that being said, it's probably worth checking out the guidelines for the different venues where the events are taking place, just to make sure there's nothing you need to bring (such as cash) or anything you shouldn't bring along with you. According to the majority of Spectator Guides I'd checked out you'll, "...go through a security check with X-ray equipment. Forbidden or restricted items will be collected and not returned." It's definitely worth checking out the complete list, so you don't bring in anything forbidden or restricted. In regards to the aforementioned list, selfie sticks are prohibited among many other items, so check it out thoroughly before attending your first event. According to The Wall Street Journal (WSJ), "The dress code for the summer games is footloose and fancy free with an eye toward caution." WSJ Fashion Reporter Teri Agins, who lived and worked in Rio de Janeiro for five years, recommended, "Whether you’re at the beach, at the stadiums or restaurants, you want stick to casual, low-key attire such as jeans, sneakers, flip-flops. You want to blend in with the locals, who are always laid back." So it seems aside from forbidden and restricted items, you needn't fret about what to wear to the Olympics this summer, as the dress code is a pretty chilled one!